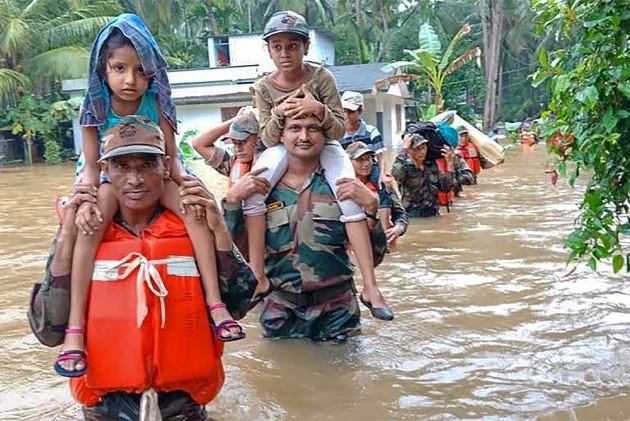 Indian Army members conduct rescue and evacuation drive in flood-affected regions of Kerala. Nature was as beastly as it was beautiful, and she had decided not to spare anyone. Amidst the iconic lush green expanse of Kerala, mighty rivers flowed with gusto, smashing through rocks and carrying along rotting carcasses, once-concrete homes and shattered lives. The sound of the wind and water was music to my ears, but the sight of the devastation took the joy out of it. And no one knew that better than the people atop a hill at Cheruthoni in Idukki district. They were confident that the river would never reach their houses, because it never had, even during the last major flooding in the early 1990s. As hundreds of people living on the slopes of the hills overlooking the Periyar river rushed to the relief camps, those on the hill stood in their homes staring. The Periyar would ravage through the houses on the banks, but, surely, those on top of the hill were safe! The unexpected happened just a week later. The flood wat­ers never reached their home, but the furious, incessant rain had triggered devastating landslides in the hilly parts, and no one was safe in their houses. They too, had to be shifted to relief camps. As water attacked from everywhere—from the sky, overflowing dams, swelling rivers—panic triggered among the state’s massive dia­spora. Families and friends of several lakh people trapped in the deluge in Kerala reached out to anyone they could think of, with distress messages that had mobile numbers, addresses and Google Maps coo­rdinates. Chalakudy in Thrissur district featured in many distress messages as large parts of the town had been submerged. It was still raining when I reached the taluk office of Chalakudy, the control room for rescue operations. The water had receded from the main roads, but rescue operations were still on in the submerged parts. I asked the four men and the taluk officer about the distress messages being sent to the control room—they said that they got none. There was no voice or data connectivity, and no power even to watch TV! 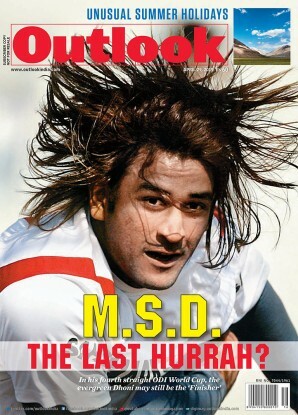 How was the local government passing on messages to the NDRF (National Disaster Response Force) and the navy? Blind operations, they said. People from the village of Kunnissery, near the Nedumbassery airport had made frantic calls on the night of August 15 as the water swept through their homes. But no one came, and they were asked to spend the night in their houses. They had to get out of there somehow, so a local caterer provided large metal vessels for the women and children to sit in as the men pushed them to safety. They eventually reached the relief camp. I noticed Rimini almost immediately. As the others scurried around for food and stared at the huge traffic block just outside the entrance of the relief camp, she kept to herself, looking lost. Rimini was heartbroken. There had been no space, time or opportunity to save her two cows. She was praying, hoping for them to have survived the ordeal. Another villager had shot a video of two carcasses. Rimini identified them to be of the livestock she had reared with love for so many years. The floods could not have been crueller, she said. At the camp, stories of rescues were as dep­ressing as they were brave. Sindhu had held her two daughters close as the fishing-turned-rescue boat moved aimlessly in the choppy waters. She has lived next to the backwaters of Muttar in Kuttanad all her life, but she had never been this scared of the water. A group of 14 of them had been picked up by fishermen who had come there after listening to the news. Her four-hour journey to safety through the pitch-dark night had shattered her will. She could not help but think they were all going to die. That they did not was a miracle for her. But she still did not know how to tell her husband, who was toiling hard in Saudi Arabia, that a wall of the house he had built with a lifetime of savings had come crashing down. She didn’t have much time to speak to me, as she had to run each time volunteers came to distribute new clothes. Having left with nothing other than the drenched clothes they were in, she had to collect as many new clothes as possible for her family. Saving lives can be an exhausting task. Back in Kuttanad, as I made my way through the streets on a boat with fishermen, an old couple stood on a balcony staring down at us and at the giant tipper lorry that had stopped outside their house. As I focused my camera on them, I could hear them telling the men on the boat to go back. They didn’t want to be taken from their homes. Only the first floor was flooded, they were safe on the second floor, they said. They wanted food and water, and told the rescuers to throw the items in abundance. When the fishermen insisted, they became more adamant. Everyone in Kuttanad has been asked to vacate, you are too old, the fisherman pointed out. After much pursuing, the couple finally decided to lock their house and get on the boat, but they looked sad. They had never asked to be rescued, but the fishermen knew they would need help, so here they were. Saving lives can also scar you. 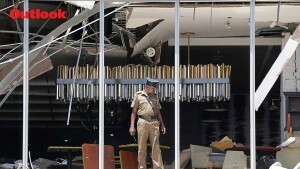 Biju says he won’t forget the distr­ess call that led him and his three-member NDRF team to a house in Thrissur’s Pothissery. They were told there could be a casualty, but they had not expected to find a dead woman, ants swarming all over her. She had died due to a trauma injury, and her heartbroken husband wasn’t willing to let go of her. The stench of the body made one of Biju’s colleagues throw up. The husband was insisting that either he leaves with his wife or doesn't leave at all. So Biju and his team quickly wrapped the body in sheets and lowered it from the first floor to the boat. They rowed to a church and kept her body on a dry platform. Biju says he knew then itself that he can never forget that image of Joseph clinging on to Serena and weeping his heart out.